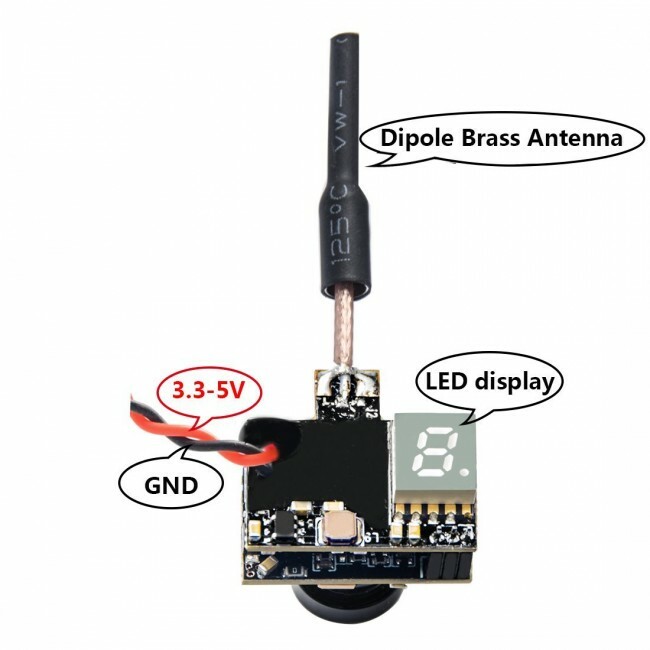 Much smaller and lighter, signal Range suitable for Ultra Micro RC Aircraft. Impressive with perfect quality image with zero latency. 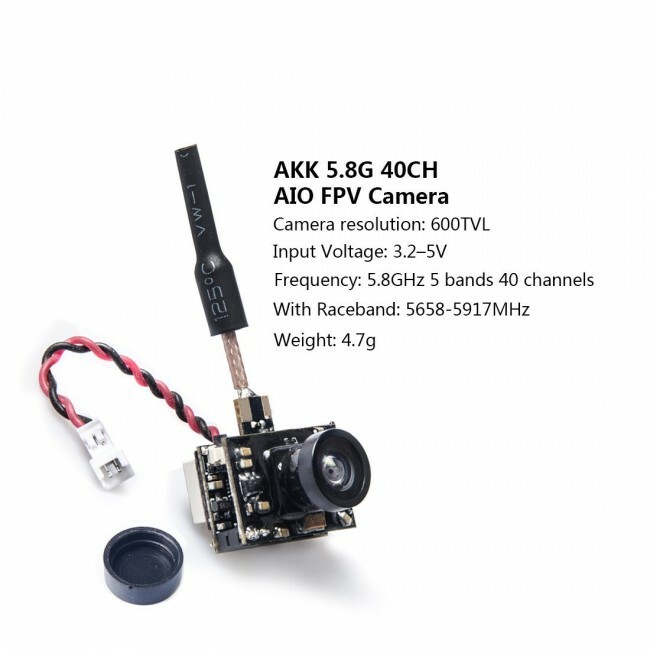 Super light weight:4.7g, Compatible with 5.8GHz googles and monitor. Easy to install. Installs in seconds,Requires 1S LiPo battery, Button control instead of switches to change channels. 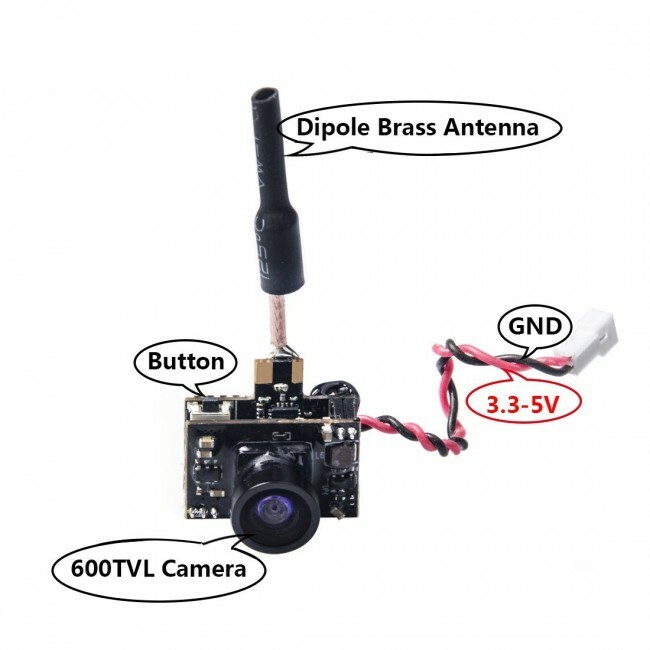 Signal Range Suitable for Ultra Micro RC Aircraft, 40 channel with raceband, single press to change channel,long press to change FR band. good quality image with zero latency. 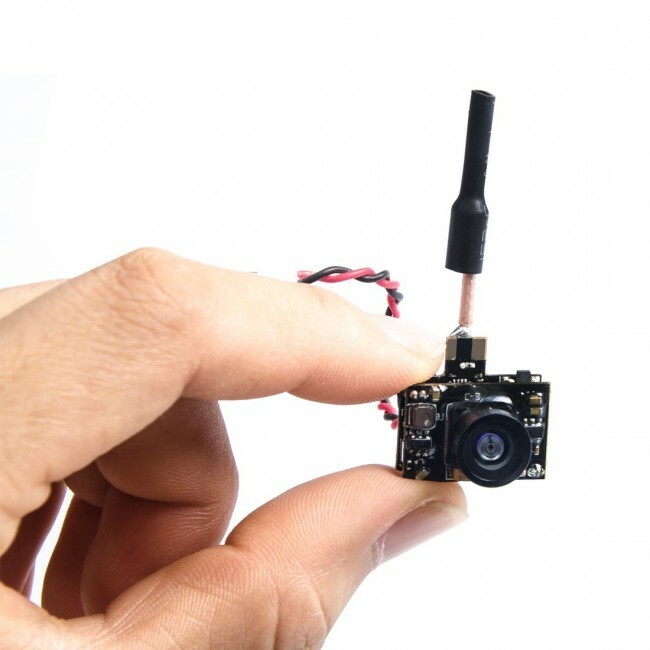 WORK WITH OSD, can be add your osd to this AIO camera,the outter most pin on the bottom,cut it in the center then solder video out to osd to front of pin. Then solder osd to vtx to the back of the pin. 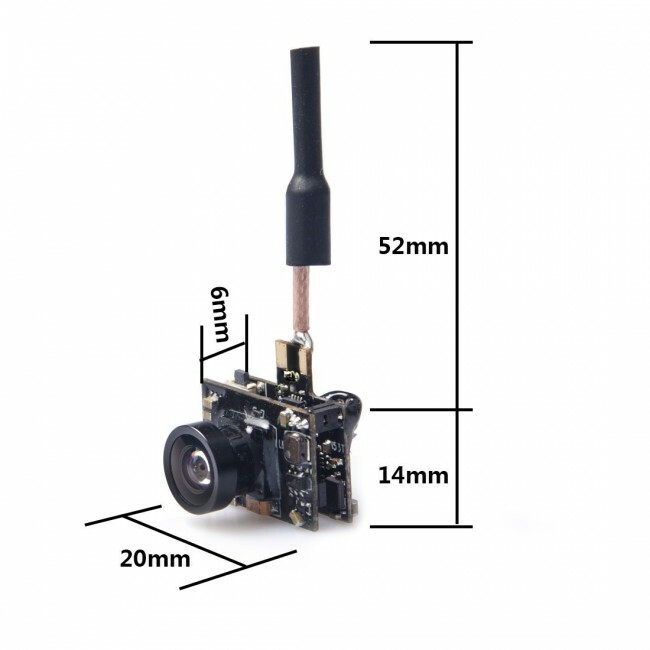 Integrated booster circuit prevents motor interference, Compatible with 5.8GHz googles and monitor. 1>.There are 3 pins bottom right side at the back led screen, cut it in the center. 2>. Solder wire to front of pin to video in on osd. 3>.Then solder a wire to the back of the pin on the back of the cam. 4>.Then solder it from the osd out to vtx. And you will have osd and an extremely light camera.